British telecom giant Vodafone Plc has offered a 50.84 per cent premium to the Ajay Piramal-controlled Piramal Enterprises for its investments in Vodafone India. In the process, Vodafone India’s valuation rose 48.39 per cent since February 2012, when Piramal Enterprises bought 5.5 per cent stake in Vodafone India for Rs 3,007 crore (Rs 30.07 billion). 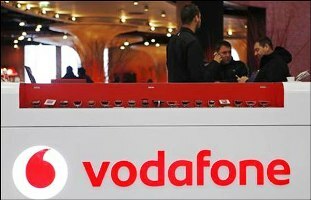 According to a recent communication to the Department of Telecommunications, Vodafone has informed the telecom ministry it has agreed to pay Rs 8,900 crore (Rs 89 billion), or Rs 811.30 an equity share, to Piramal Enterprises for its 10.97 per cent direct stake in Vodafone India (Vodafone India was valued at Rs 81,130.35 crore or Rs 811.3 billion). Piramal had invested Rs 5,900 crore (Rs 59 billion) to acquire 10.97 per cent stake in Vodafone India in two tranches. While Piramal Enterprises had invested an average Rs 537.83 a share for its stake in Vodafone India, it is selling the stake at Rs 811.30 a share, 50.84 per cent higher. Piramal had first bought about 5.47 per cent stake for Rs 2,893 crore (Rs 28.93 billion) in 2011. In February 2012, it acquired an additional 5.5 per cent stake for Rs 3,007 crore (Rs 30.07 billion). per cent return on investment. Considering the price for each share (Rs 546.72) Piramal had paid in 2012, it would get a premium of 48.39 per cent by selling it to Vodafone Plc now (at Rs 811.30 a share). The latest valuation is about 42.33 per cent higher than the Rs 57,000-crore (Rs 570-billion) valuation Vodafone had paid Hutch in 2007 to buy 67 per cent stake in the company. However, Vodafone has kept the valuation of its Indian entity at a much lower level compared to that of its peers. The market cap of India’s largest telecom operator Bharti Airtel (21.9 per cent market share, with 192 million subscribers in India) is Rs 1,34,092 crore or Rs 1,340.92 billion (as on Thursday). The Foreign Investment Promotion Board is looking to consider the Rs 10,141-crore (Rs 101.41-billion) proposal of UK telecom giant Vodafone to acquire the remaining stake in its Indian arm on Friday. It would also consider 10 other proposals, including those of Indian Rotocraft, Jubilant Aeronatics and HBO India, the Finance Ministry said.